Following the release of Future Terrain last month, it is the time of the album in which I have worked over the last year and the first months of 2015. I continued my work in the pursuit of purely atmospheric expression, in an attempt to convey this vital experience that pushes us forward in one direction within the labyrinth of life, the way that I call The Flowing Path. 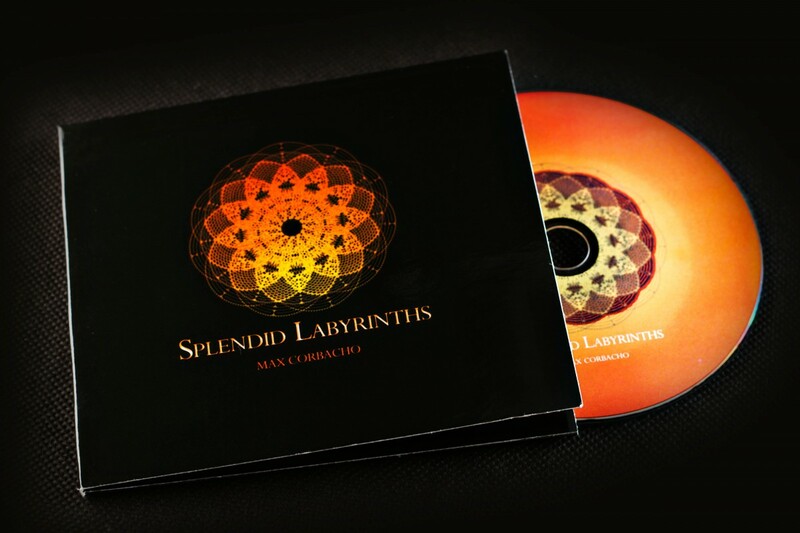 Splendid Labyrinths is a deep reflection on our journey through life, change, growth, discovery, movement and transformation at every step along the way. Original cover image rendering, design and layout by Michael Rodríguez Pletz www.domestika.org/es/michaelrpletz. Released as CD (factory pressed), as digital download through the usual stores (Bandcamp, Amazon, iTunes, etc), and through streaming services (Spotify, Rdio, etc). Vast beatless zones and undulating velvet expanses: Splendid Labyrinths is an album of ambient immensity and immeasurable time. Max Corbacho’s latest release features heaving multi-layered drones that seem to drift in and out of focus and intensity like slow-motion sunlight filtering through gracefully moving storm clouds. These opulent sonic textures are of impressive fathomless density, they seem to stretch away into infinity and endless darkness whilst at the same time presenting more imminent audio formations that waft and furl like intangible filaments of smoke or warm currents in water. The ordering of the tracks is interesting: two long-form recordings on either side of the relatively brief Earth Womb and Wave of Reflection, this seems to reflect the cover image where a tight core is surrounded by larger structures. Much of the tonal nature of the music is uplifting, warm chords and heavenly synth voices suggestive of light and gentle ascendance holding the most proximate regions. ARTWORK The front cover of Splendid Labyrinths features a vivid yellow-orange, mandala-like multi-disc bloom comprised of overlapping labyrinth discs. This is very much an image of many depths: the complexity of the layers revealing forms and patterns that arise and fall away according to one’s focus. On one level, a simple flower design of twelve regular petals; on another level a three-dimensional bubble of infinite depths encircling a bewildering black hole. Inspired by the landscape and sky of his origins in southwest of Spain, ambient master Max Corbacho composes music that references “the essence of the great and ineffable mystery of our existence.” Splendid Labyrinths perhaps manages this with greater effect than ever. Released on the heels of Future Terrain, a track that “emerged in parallel …during the long building sessions for Splendid Labyrinths”, this latest album holds six recordings, four of which all hover somewhere around the fifteen-minute mark. Two shorter pieces lie in the central hub closer to six and eight minutes each Promotional material talks of “an atemporal quality” explored in recent releases following “maybe only the breathing and the pulse of the artist,” very apt here. 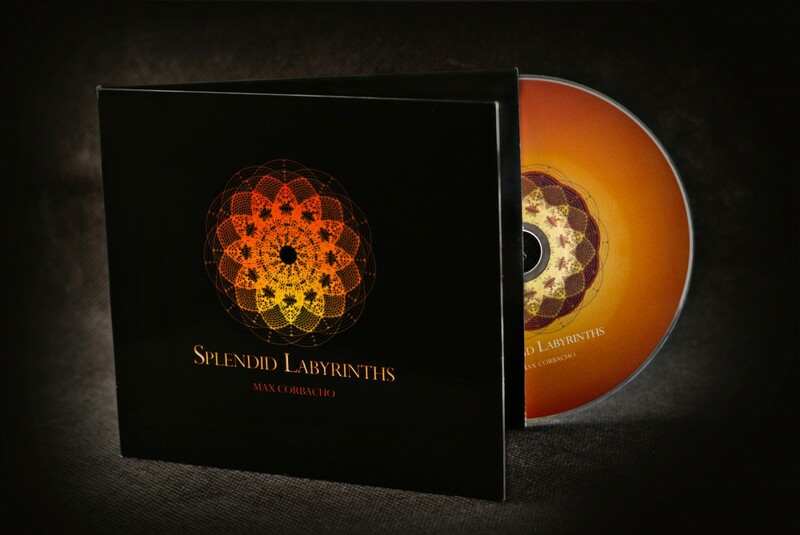 Visit the Max Corbacho website or Max Corbacho Bandcamp page for more information and opportunities to listen to the tracks of Splendid Labyrinths as well as previous releases.